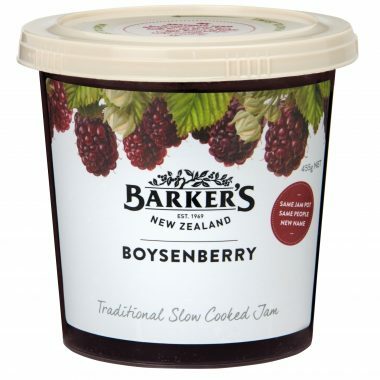 Serve as a dessert cake with fresh or cooked boysenberries. 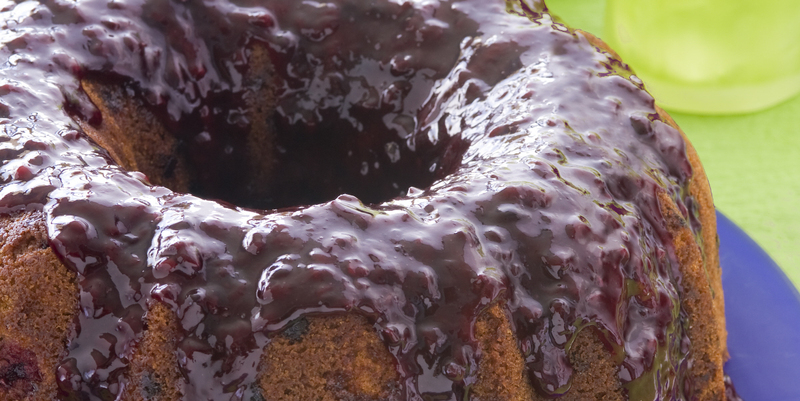 Spray a deep, fluted cake ring with non-stick baking spray. In a bowl, beat butter and sugar until light and creamy. Add eggs one at a time and scrape down the bowl after beating each egg. Add vanilla and beat until well combined. In a second bowl sift flour, cinnamon, baking soda and salt. Add one third of the flour mixture to the butter mixture, alternating with half the sour cream, beating after each addition. Pour into cake ring and bake at 145ºC for 15 minutes then increase to 180ºC and bake for 40-50 minutes until a skewer inserted comes out clean. Allow to cool in the cake ring on a cake rack for 10 minutes before turning out. In a small saucepan heat Boysenberry Jam, water and cornflour and simmer gently for 1 minute. Place the cake on a large flat plate and drizzle the topping over.